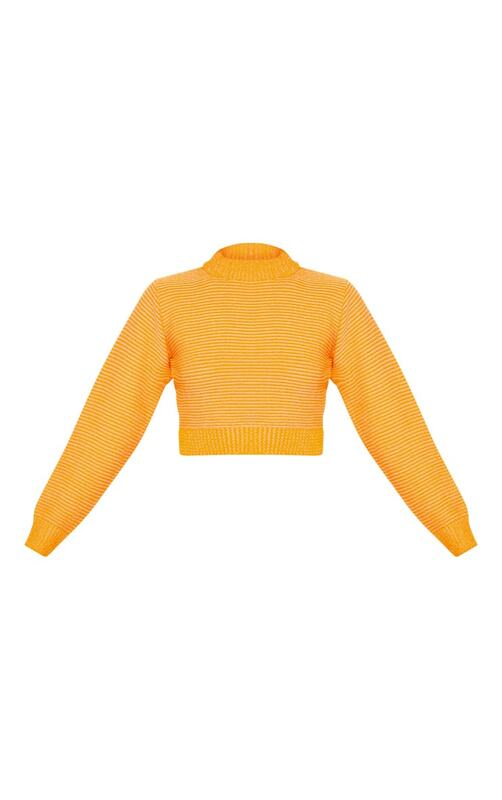 Spice up your off-duty look with this jumper. 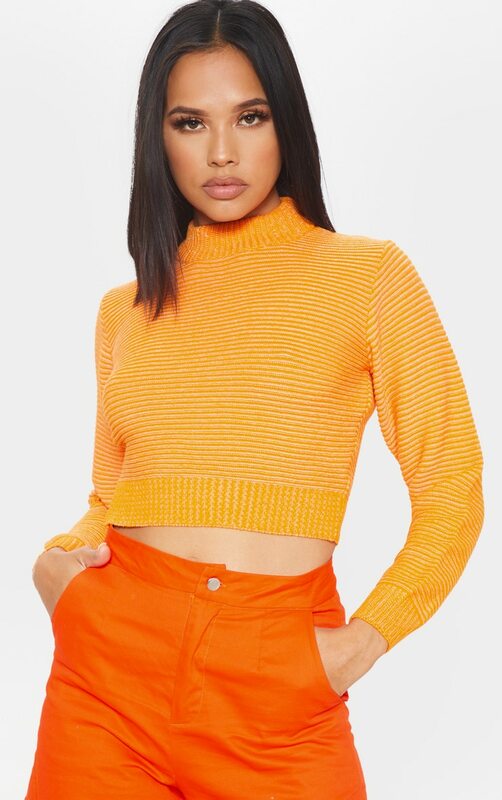 Featuring an orange knitted material with a high neck and a cropped length. 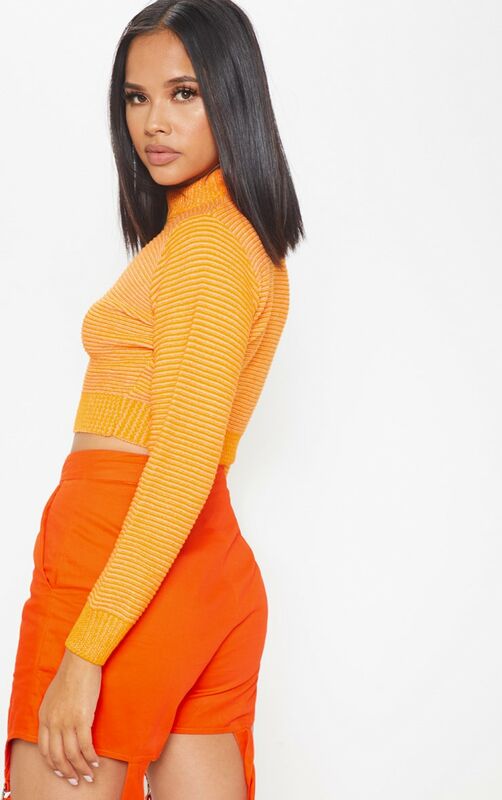 Style this with matching hue bottoms and some statement heels for a night out with the dolls.